Discussion in 'Pokémon - Generation VII Discussion' started by John Boy, Sep 1, 2018. After reading this post, do you think this discussion is a good idea? My name is John and much like some of you reading this, I have been a Pokémon fan for a very long time. I remember the days as a child playing Pokémon games like Pokémon Red, Silver, and Ruby, mostly enjoying the battles with other NPC trainers and local friends. I took a break from Pokémon during my transition into adulthood and fell in love with it again during the past year or so. As I began playing Pokémon again, I was excited by the new generations of Pokémon presented to me, along with a multitude of fascinating new types, moves, and abilities. I even started playing competitively and began working on my own project involving Pokémon. However, I came to soon notice that many Pokémon in older generations were outmatched and outdated compared to their new counterparts and have fell into a black hole of unimportance. As an older fan, I was sad to see this, but understood that the younger generation of players needed their chance to experience new Pokémon, and this required fresh new generations of Pokémon to keep the popularity of the franchise going. Old fan favorites like Mew, Raikou, and Swampert simply did not have the spotlight that they had during my childhood. Still, I believe that these older Pokémon deserve a chance to be rebalanced and presented as useful Pokémon in newer games. That way, older fans that make up a large part of the Pokémon community, such as myself, will be able to use our childhood favorite Pokémon competitively and casually, while still being able to enjoy meeting and training the newer generations of Pokémon. Younger fans would benefit from this too, as they would have better utility of older Pokémon to use and grow accustomed to, while still playing their favorite Pokémon from later generations. This combination would ultimately boost the popularity of the Pokémon franchise and help it grow even more than what it is, allowing players from different age groups and preferences to enjoy playing Pokémon even more, while being able to relate with more of the community. What is the rebalancing discussion? The rebalancing discussion is an opportunity for all of the Pokémon community to voice their opinion of any Pokémon that they feel need rebalanced for the upcoming generations. These rebalances can be to make a Pokémon more useful, or make a Pokémon that is too powerful, a little more balanced with the rest of the Pokémon population. To keep everything organized so we can have a majority focus of one Pokémon at a time to ensure the most reliable rebalance of that Pokémon, I will be making topic posts of a particular Pokémon (typically at least one per week) in which we will be able to discuss ways that Pokémon needs rebalanced. I will head the discussion by the title of the rebalancing discussion "Making Older Pokemon Matter" and follow it by the week we are on and what Pokémon we are covering. So for example, the topic posts will look like this: "Making Older Pokemon Matter: Week 1: Pikachu". I also ask that while you're voicing your opinion on the Pokémon we are covering, you put a suggestion down for what Pokémon should be rebalanced next. The most votes of a Pokémon calculated will be the next Pokémon we cover for rebalancing the following week. I will also be voicing my opinion on the Pokémon of the week and how I feel they need improved. During that time, feel free to list why you may agree or disagree with my suggestion, and then provide one of your own if you feel you may have a better idea on how to rebalance that Pokémon. Please remember that "rebalancing" will consist of either changing the type of a Pokémon, giving them or taking from them an ability(s) or a move(s), or readjusting their stat layout. This is not to change the visual aspect of the Pokémon. What is the purpose of the rebalancing discussion? Ultimately, this discussion serves two primary purposes: to rebalance Pokémon and bring the community together more than what it is already. If a certain idea of how to rebalance a specific Pokémon gets a lot of positive feedback, I would like to forward it to Nintendo and other Pokémon affiliated companies in the form of a petition. While Nintendo is very adamant about not changing their Pokémon, they clearly state within their guidelines that while they do not consider single-suggestion messages, they do consider high quantity petitions from the community. This is our chance to make our future Pokémon games more enjoyable for the money we pay for them. 2. Another rule that was mentioned earlier is that you should only provide your suggestions on rebalancing a particular Pokémon on the post of which they are presented. Please do not post your opinion on how Feebas needs rebalanced on a post that deals with rebalancing Rayquaza. Instead, just supply the name of the Pokémon you want rebalanced next so it can be a vote towards covering that Pokémon. If you do not want to offer suggestions on rebalancing the Pokémon of the week and only want to comment what Pokémon should be covered next, just comment "Pass" and follow it by the Pokémon you would like to cover in the future. Please note that you are free to go back to previous Pokémon already presented and voice your suggestions, even if it was weeks prior. You can also discuss other Pokémon besides the Pokémon of the week if you're stating how they are or could potentially be a good team mate to that Pokémon or a check/counter. 3. Keep rebalancing ideas reasonable. Please do not say that you feel Mewtwo needs 600 stat points in Special Attack as a rebalance. Remember your opinion may be forwarded to Nintendo for future games and the goal is to rebalance the game, and not unbalance it further. This rule is not to object you from putting down your opinion, but to keep trolling and ideas that purposely don't make any sense from appearing in the discussion. This will not be allowed and you will be removed. Due to this discussion being very new, I know it will take some time for some of the community to find it and began voicing their ideas. Therefore, I will start off week one with a Pokémon I feel needs rebalanced as a diagnostic to see how the discussion turns out, and make any improvements from there. Again, this will be attempted at a weekly process and the day they will be posted will be determined in the future. Feel free to provide any ideas on how to improve the discussion along with your suggestions on the Pokémon of the week. Thank you and I hope we can all grow together as a community. This is a fantastic idea. While I don’t have much to contribute, I believe this is an issue thanks to Gen 4, which each succeeding following generation has tried to fix to varying levels of success. I feel that some Pokemon from Generation 1 still are relevant today. 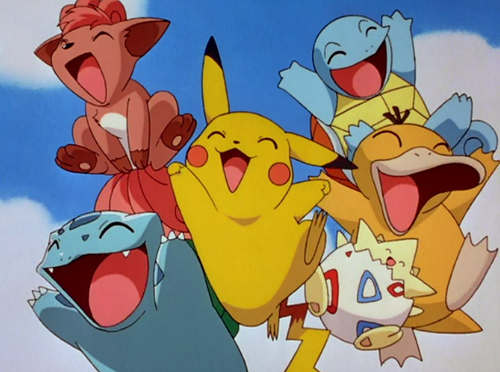 If you look at competitive site listing for Pokemon, some Generation 1 Pokemon are still the talk of the community, such as Chansey, Clefable, Mew, Zapdos, Charizard (Mega), and Alakazam (Mega). Farfetch'd - It still can be considered a rarity in many of today's Pokemon games, but one thing Mega Evolution did was make already powerful Pokemon broken. I think The item "Stick" should do more than it already does, such as make all attacks critical instead of just a critical hit ratio boost (like Toxapex using the Merciless ability). Its Speed should definitely be heightened as well, or ability changed to Speed Boost.